Have you ever been the subject of a false accusation which led to you being investigated, or even charged with a criminal offence? If someone has falsely accused you of a crime, it’s a good idea to speak to a lawyer to see if they can be prosecuted and held accountable for their actions. False accusation cases in NSW, as well as vexatious or frivolous Apprehended Violence Orders, do come with serious penalties under the Crimes Act. 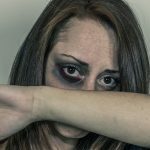 What can you do if you have been falsely accused? Section 314 of the Crimes Act 1900 (NSW) makes it a criminal offence for a person to make an accusation about another person intending that person to be the subject of an investigation, while knowing that they are innocent. If you have become the subject of an investigation as a result of a false accusation, the accuser can be arrested and charged under s314 of the Act. For someone to be found guilty these cases, it needs to be proven that the accusation was in fact false, that it was deliberately made with the intention of you being investigated, and that the person who made the accusation knew you were innocent. 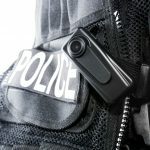 You do not necessarily have to be the subject of a criminal investigation by police. You might be under investigation by auditors, by council, by a regulatory department such as ASIC, or even the family court. Nor do you have to be charged as a result of the investigation for charges to be brought against a false accuser, it is enough that the investigation happened. It may be that as a result of the investigation, the false accusation was actually discovered. Subsequently, you can take that investigation and outcome to the police, or an expert criminal lawyer who can write to police on your behalf. 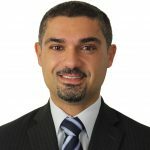 What are the penalties for false accusation cases in NSW? The criminal offence of false accusation is considered a serious one. Technically it is an indictable offence and may be dealt with by the district court, where the maximum penalty is seven years’ imprisonment. However, the offence is also allowed to be prosecuted, and in fact tends to be prosecuted, summarily in the local court where the maximum penalty is two years’ imprisonment. As well as a prison sentence, another consequence of a conviction for false accusation is the damage to the person’s credibility, their honesty and their character. Criminal records are reviewed or need to be disclosed for many reasons these days, for employment purposes, for travel and also when a person is required to be a witness in a court trial. The damage to a person’s reputation of a conviction for false accusation may last a lot longer than any court-imposed penalty. This type of conviction would certainly damage the person’s credibility in any later court matters. Their honesty would be put through rigorous testing in cross-examination. 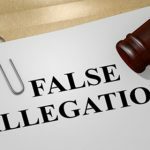 False accusations can be made for any number of reasons, and involve disgruntled neighbours, work colleagues or even vindictive former partners. They can leave you embroiled in an expensive and emotionally draining court case. Regrettably, there has been anecdotal evidence of women in the family courts making false allegations of child abuse. In June last year, retiring Family Court Judge, Justice David Collier, said there were increasing numbers of false allegations of abuse by mothers to stop fathers from seeing their children. If these fathers then became the subject of any type of investigation, be it by police or any department of community services, these mothers could potentially be charged for the offence of false accusation. What if you are the one accused of making a false accusation? Alternatively, you may be the one charged with an offence under s314 of the Act. In which case, you need a strong defence team to support you legally so that you have committed and expert representation in court. A good defence lawyer can put the prosecution to proof on all matters, ensuring they have enough evidence to prove the charge beyond reasonable doubt. Other possible defences to this charge may include mental health issues, duress, necessity and self-defence. It is an incredibly daunting experience to have to defend a false accusation in court. The system can feel very much against you, and it is an uphill battle that is not simply emotionally demanding but costly too – costly financially, and costly to your reputation. 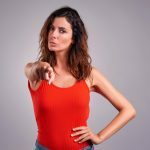 If you have been falsely accused, holding that person accountable can help you minimise the effects of the accusation on your finances and your reputation. 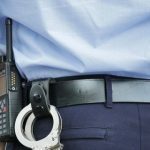 Being arrested in NSW – what can and can’t the police do?